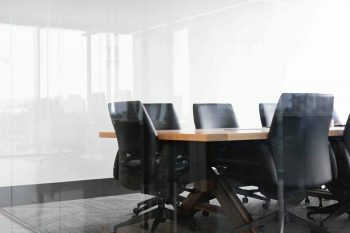 Alternative Dispute Resolution for Business - Resnick Law, P.C. Alternative dispute resolution (ADR) refers to a variety of techniques, including arbitration, mediation, and negotiation, that are used to resolve legal disputes and avoid more traditional methods like litigation. ADR is often a more effective approach than negotiation when corporate entities are involved. The following will review some of the primary advantages offered by alternative dispute resolution methods. The most critical elements of dispute resolution for business owners are the cost and time required to successfully resolve legal issues. ADR saves companies money by allowing them to avoid paying court fees and other associated costs. ADR can also proceed much more quickly than litigation. ADR is a much more private process than traditional litigation. Parties that decide to proceed through ADR can also sign a Non-Disclosure Agreement to make sure that conversations held in ADR remain private. When corporations are involved in ADR, this element of confidentiality means that companies are able to focus on the issues at hand rather than worry about details being leaked to the public. Many companies that are in debates concerning intellectual property or trade secrets find this element particularly valuable. One of the primary advantages of ADR is that it is easy to execute, which can be particularly helpful when corporate disputes involve people who live in different geographic areas. ADR is easy to executive because it provides a singular way to negotiate disputes with parties that might be spread out across the globe. Unlike litigation, which can be contested through protracted appeals, resolution through ADR is often quick and is not subject to appeal; the process concludes with the agreement of all the parties involved in the conflict and suggests the most suitable agreement for both parties. If your corporation is engaged in a dispute, selecting ADR can help the process resolve in the smoothest manner possible. During ADR, the parties engaged in the conflict have increased flexibility to select the applicable procedural laws as well as the laws that dictate how the dispute will resolve. The parties also have the ability to select their own method of resolution. As a result, parties are able to focus on the substantial issues that are involved rather than worrying about procedural or administrative issues. While litigation is structured around one party “winning” and the other “losing,” arbitration allows companies to find terms that are mutually agreeable to all parties. There are a number of complex issues that can arise when addressing business disputes. Fortunately, there are also several ways to resolve these problems, including alternative dispute resolution. If you need assistance with ADR or another type of resolution method, do not hesitate to obtain the assistance of an experienced business law attorney. Contact Resnick Law today to schedule an initial free consultation.